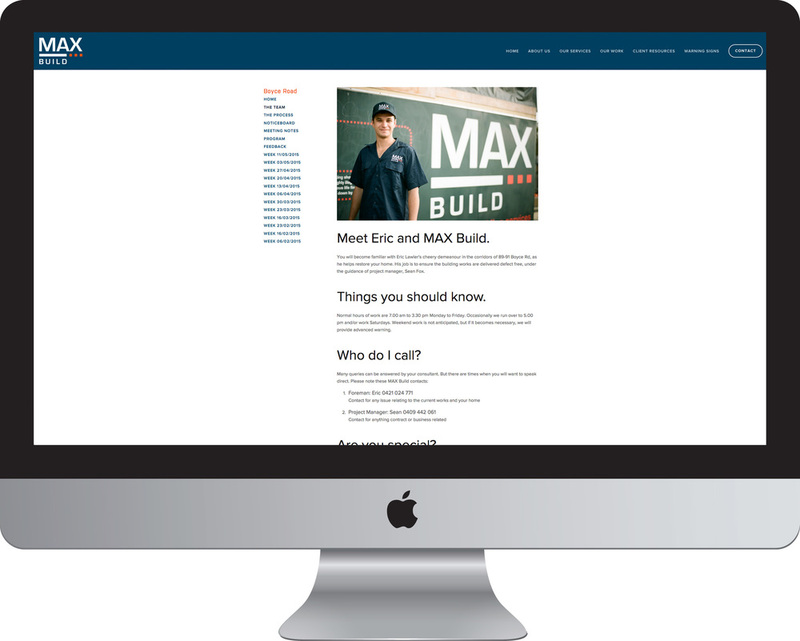 For each residential project MAX Build produces a dedicated website purely for the owners and their consultants to witness the progress of the build. We have designed this so everyone is on the same page, literally. Each week, we post our job targets and the photographs to support them. In addition, we publish the latest program, any minutes, and important work notices. It’s an opportunity for all stakeholders, with varying levels of building knowledge, to be involved and informed.